URBAN STYLE VIBES*: Enjoy your weekend! My dearest readers! I'm off for the weekend now. I have a pretty busy schedule this weekend. Tomorrow I will go to ice skating in the north of Holland to watch the World Cup Ice-skating. And after that I will go to one of my friends for a party. 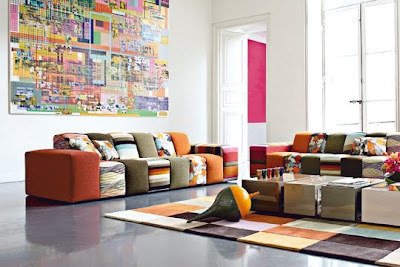 But before I leave you I would love to share some colorful sofa's from Roche Bobois with you. What do you think of these sofa's? 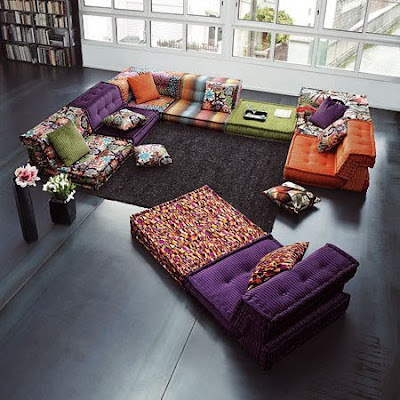 those sofas are pretty cool. love em. have a great weekend luvah! hope you had a great weekend! 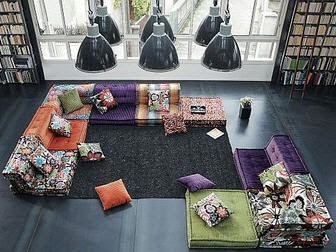 i love those sofas, they look very confy yet chic. have a sweet day!